Named after Stevie Nicks, the lead singer of the rock band Fleetwood Mac, Stevie Leigh Andrascik has always been influenced by music and pop culture. 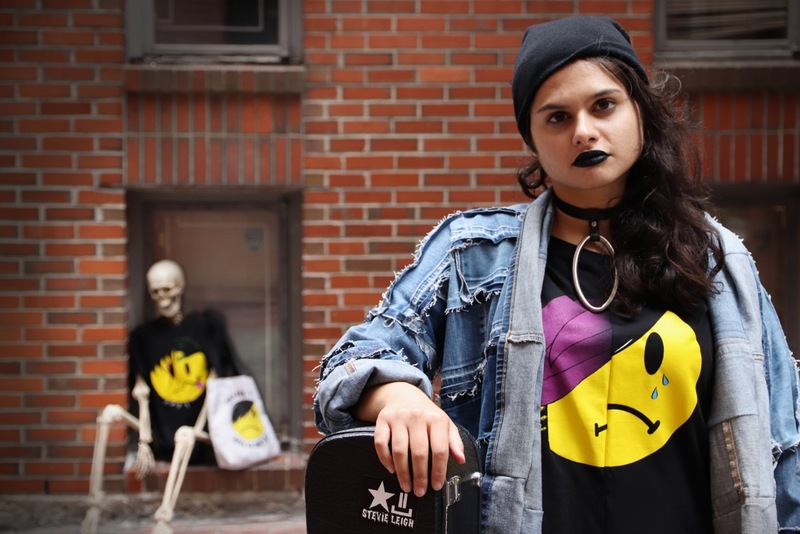 Her interest in DIY and various alternative music scenes led Stevie to create the clothing line ‘It’s Me, Stevie Leigh’ which specializes in graphic apparel and accessories. Stevie has had the opportunity to showcase her line at various events such as Vans Warped Tour and New England Open Markets. While studying fashion design at Parsons: The New School for Design in NYC, Stevie was introduced to Zero Waste patternmaking, this led her down a path of sustainable and highly functional garment making. Stevie is very mindful of the garments she creates and their impact on the user and the world. Her current projects include creating transformable, multifunctional garments for touring musicians and creating garments from fabric scraps otherwise headed to landfills. Stevie does not limit herself to one form of creative expression, she ventures into all disciplines of design, including graphic design, web design, textile design and photography. She is driven by functional design, sustainability and creating a cohesive vision.